The shuttle will co-exist with regular traffic and complement public transit that is currently available. 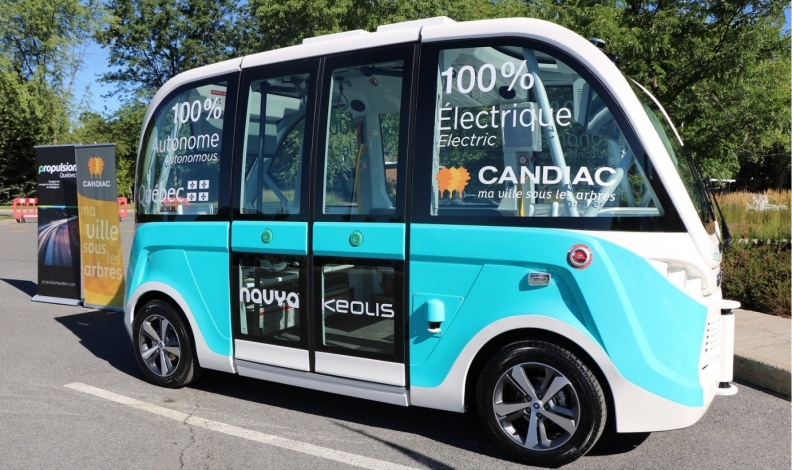 The City of Candiac, a southern suburb of Montreal, will be home to Canada’s first fully electric autonomous shuttle to be used on public roads. Quebec Transport Minister André Fortin announced the long-term demonstration project on Friday. Starting in September, the 15-passenger shuttle, which has a top speed of 25 km/h, will follow a two-kilometre route that includes stops at City Hall, a bus terminal and various businesses. The pilot project is scheduled to run 12 months, depending on weather conditions. An operator will be on board the shuttle for the duration of the project to answer any questions that users might have. The operator will be able to take control of the shuttle as required. The shuttle will run throughout the fall until winter weather conditions take over. An experimentation phase, with no passengers, will then begin in winter to ensure the shuttle's performance during the snowy season. The Province of Quebec will contribute $350,000 to the $750,000 project. The shuttle alone costs about $400,000. The shuttle is built by French manufacturer NAVYA Technologies and will be operated by Keolis, which runs passenger railways, tramways, bus networks, airport services and more around the world. The cost of the shuttle and those associated with its operation are borne by Keolis Canada.